Jeunes Diplomates has nearly 20 years experience in the organisation of language camps in France in an exceptional environment: Megève, an unspoilt village situated in the heart of the French Alps at 1113 metres altitude. An internationally renowned winter and summer resort, Megève offers the privilege of a preserved natural environment for hiking, mountain biking or horse riding. The thrill seekers find their happiness with air or water sports. 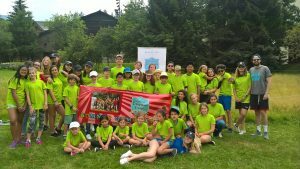 Jeunes Diplomates makes every effort to ensure that its language camps, for learning and/or improving languages, leaves lasting memories for the campers. Take full ownership of a foreign language through total immersion in an international environment with a team of multi-lingual supervisors and children from all continents (on average more than 10 different mother tongues). All this takes place in a friendly and safe environment which is for us the essential element to constructive and stimulating learning. Our camps are approved by the DRJSCS Regional Directorate of Youth, Sports and Social Cohesion. We pay attention to every student and every moment of the day, each child is unique to us. A language camp (French or English) for children and teens 6-17 years of age from around the world. We offer holidays with a multitude of activities and in addition a comprehensive language programme, all in the heart of the French Alps. Our language camps offer not only the opportunity to learn a foreign language (English or French) but also encourages students to discover new cultures, make new friends from around the world, to enjoy various activities, learn to live and work with others, to invest in an international community and, most importantly, to thrive in this success. 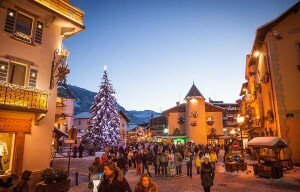 How to make the most of your skiing holiday while working on your languages? 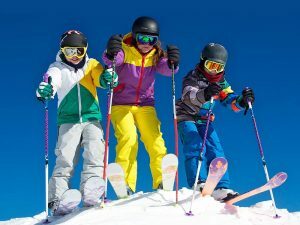 During the winter sessions, children and teens following language courses in the morning and practice their favorite snow sports in the afternoon. Choice between: ski, snowboard or freestyle. Supervised by professional ski instructors, they can pass their test at the end of the holiday.